On Thursday, August 11 we lost our son, brother and friend, Daniel Joesph Fitzpatrick. At just 13 years old, he took his own life because of the years of bullying took on his otherwise happy, caring and loving spirit. 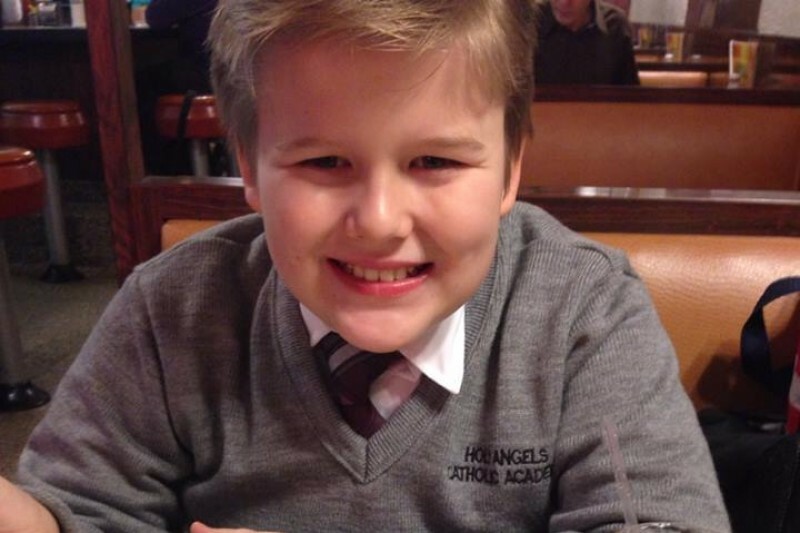 We want to give Daniel a proper memorial, as well as shine a bright light on the bullying that killed him. Please, if you can, find it in your heart to help our family lay our beautiful baby boy to rest, and allow for his legacy to live on. My name is Eileen Fitzpatrick, I am Daniel's oldest sister, from Brooklyn. Daniel Joesph's parents, Daniel and Maureen Fitzpatrick are the beneficiary for this campaign. I created this campaign to assit my parents in the burial and services for my brother. My brother was thirteen years old, he did not have life insurance, because he wasnt supposed to die. This was a very unexpected tragedy for my family and we were not prepared for it. We had NO idea we would go past our goal and recieve so much feedback. With all these responses and support we would love nothing more than to donate to a organization that fights bullying and encourages suicide awareness. We have not chosen any yet, seeing as we are still dealing with preperations for my brother. We have every intention to help other families never go through what we are going through. We want to thank you from the bottom of our hearts for helping us and hearing his story. Yesterday August 17th, we laid out sweet baby angel, Daniel Joesph Fitzpatrick to rest. We have been blown away with the responses from this campaign. Hearing all the kind words, well wishes and stories people from ALL over the world shared with us, helped my family get through this difficult time. I personally saw it restore my parents strength each day and their faith in the world. We cannot thank you enough for helping us put Danny to rest and gettting started on starting a non profit in Danny's name to help with the bullying issues and suicide awareness. Thank you for letting my brother's story touch your heart, thank you for sharing it. We are just getting started in fighting this fight, and we won't forget that it was thousands of strangers who helped us get our start. Sending so much love from us to each of you. Why does a child have to die before someone notices and takes action? I hope this brings even more light to bullying. I am so deeply sorry for your loss.